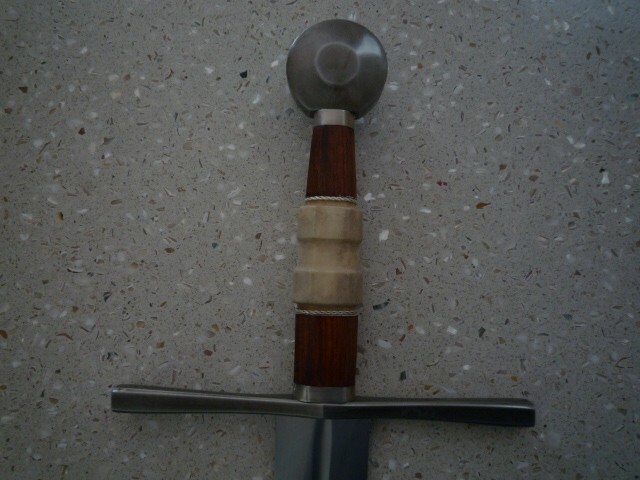 A good all round medieval sword used throughout the Middle Ages. Used by English barons in more than one uprising against their king. Large enough for a two handed powerful cut . 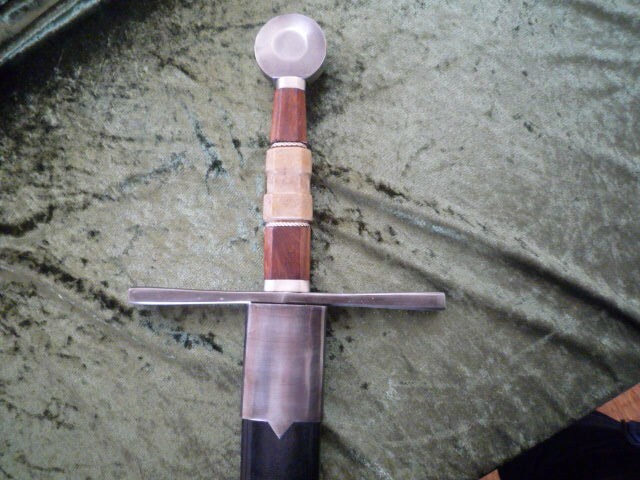 Wood grip with wire and rawhide wrap. 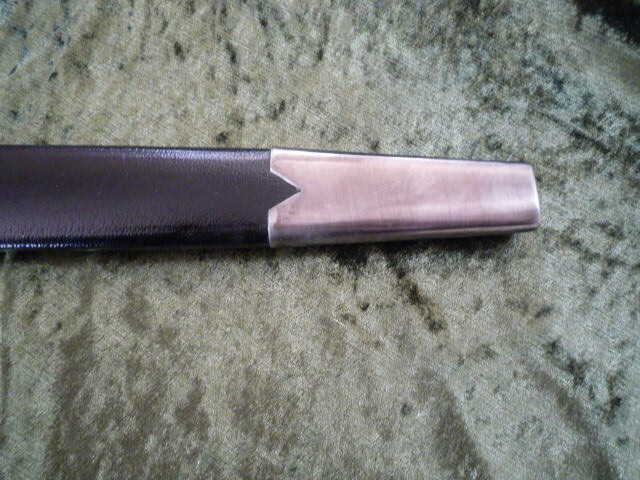 Well tempered high carbon steel blade 91.5cm x 5cm. Overall length 113cm. Weight 1.4kg.